We're 48 hours away from the NBA's trade deadline, and this latest update out of Toronto is sure to fire fans up. After DeMar DeRozan was shipped to San Antonio, could the other half of Canada's best bromance be on its way out of the country as well? Per a report, the Raptors have ​offered the Grizzlies Kyle Lowry and Jonas Valanciunas ​in a blockbuster deal for Mike Conley and Marc Gasol. Last month, the Grizzlies' front office leaked the info both Conley and Gasol would be available via trade. With Memphis not competing this year, currently owning a 21-33 record, it's time for them to part ways with their aging stars. ​The Raptors on the other hand are 38-16 on the year, good for second in the Eastern Conference. Could Conley and JV send them over the top? Conley and Kawhi Leonard together in Toronto? You can hear Celtics fans getting nervous in Boston already. Though it appears the two sides are only in the early stages of trade negotiations, you never know what might happen before Thursday. 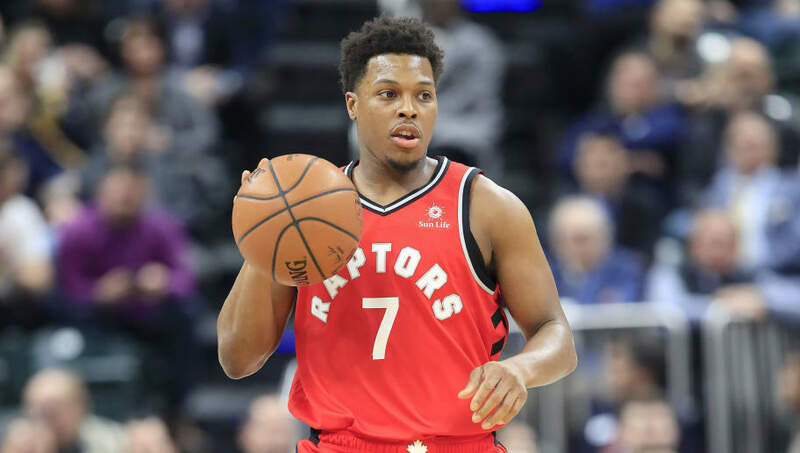 It looks like Toronto is ready to move on from Lowry, and adding Conley and his 20.3 points per game in his place would certainly be a major upgrade. Time will tell if Toronto and Memphis decide to move forward with what would undoubtedly be the biggest trade during the regular season.